Winter in New Canaan sort of snuck up on me. We started getting light snow in November but for the most part it was just really cold and there were lots of foggy days. (I naively thought that this was as cold as it would get!) 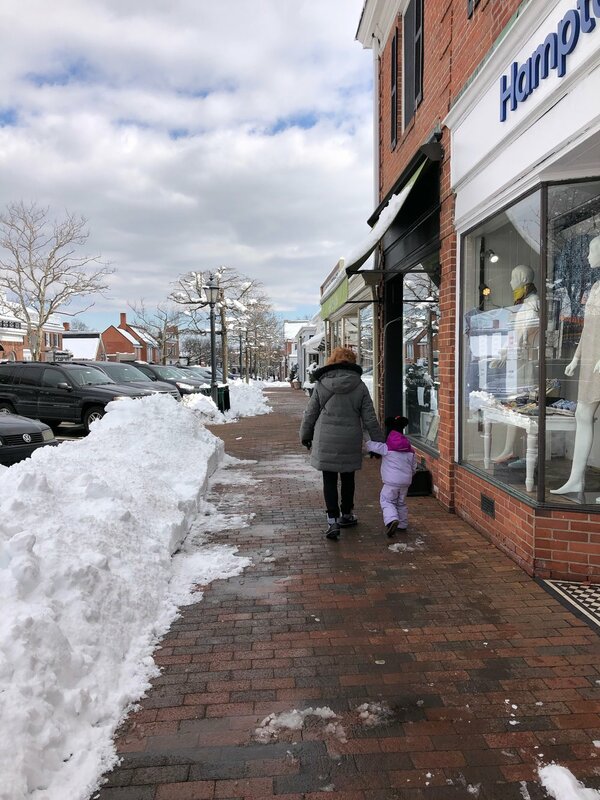 We saw family for Thanksgiving in Atlanta, went to a Jan Brett book signing in Connecticut, and had some chilly beach coffee days (cold enough for a snow suit!). The pond slowly began to ice over and thaw out over and over. December and January brought colder temperatures, adorable Christmas lights and celebrations, gorgeous sunsets and more light snow days. We even had snow on Christmas Eve and made a Totoro out of it! Around this time I think the pond began to freeze again and it stayed mostly frozen (but not enough for ice skating). February brought cute Valentine’s day treats and even COLDER temperatures. There were days it was between 10-20 degrees. And that’s when the real snow started! I had never experienced anything like this in my life!! 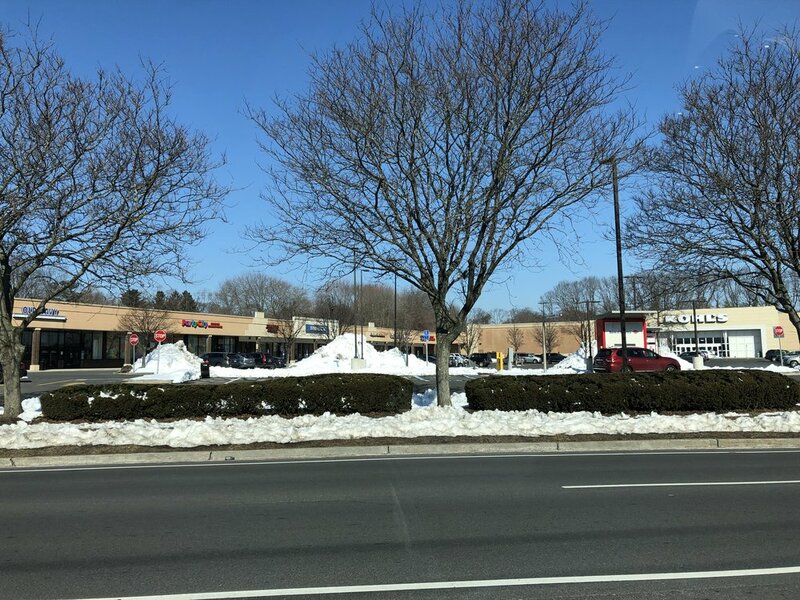 Snow piles in parking lots were as tall as cars in some places! I even experienced my first “snow squall” which was super bizarre and blew the red star off our garage! Autumn wasn’t very interested in playing in the snow, but we did try out our new snow shoes one evening and another morning Chris took Autumn on an awesome snowy bike ride.